“Join our journey to India, where we take a glimpse into the ritual world of folk and tribal art patterns that are displayed on domestic walls and floors. I will provide an artistic introduction into the traditional meaning and patterns of contemporary folk and tribal art, before assisting you to create your own ritual wall and floor design. 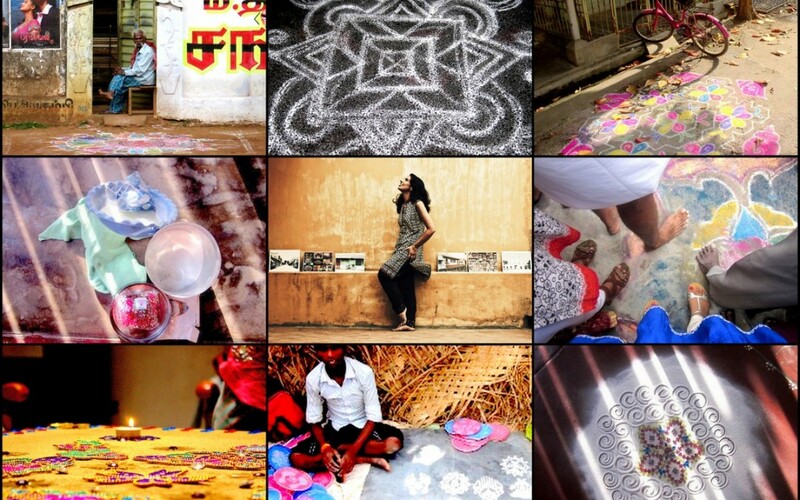 This Indian art workshop is a unique and creative activity you will not want to miss! All skills are welcome in this engaging event for adults, families, friends and curious artists” . In India the ephemeral artwork creates endless stories and narratives which are often accompanied by a rites of passage to celebrate a birth, marriage, harvest or death. Like the epic narratives within Indian religious belief, these indigenous designs that are hand drawn by women on a daily basis with chalk or coloured powder paint, fade, erode and then replaced. The lines become a historical trace into the earth of the physical movement and performance that create the expression, space and cultural narratives of the Talking Streets. Warli Tribal Art. Thane, Western India. 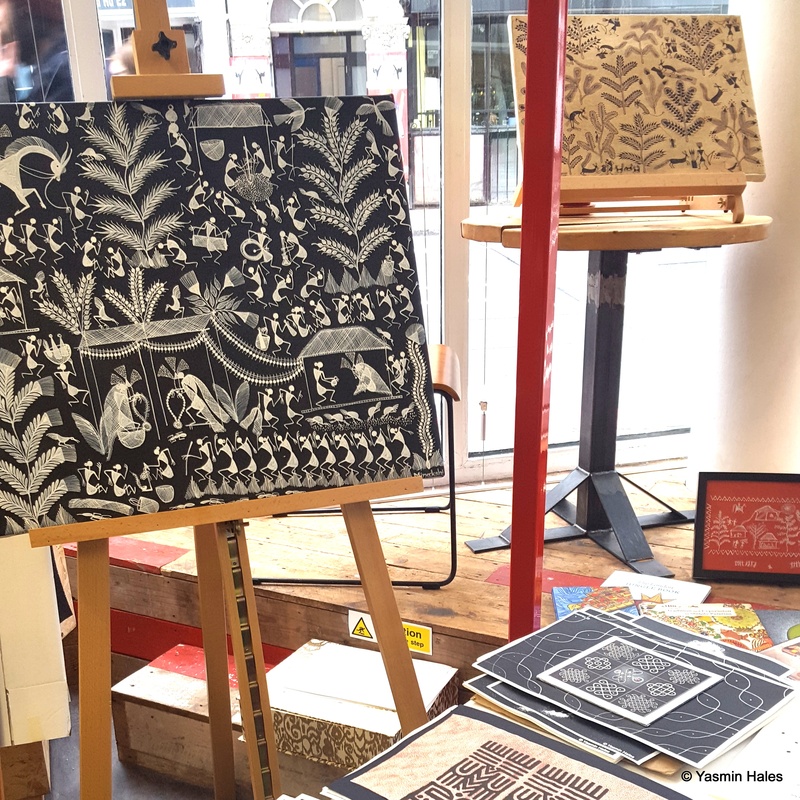 It was great to observe the interest in Indian folk and tribal art amongst the Great Art workshop participants in Shoreditch. The visual inspiration behind some of the participants’ art designs that were created combined with the discussion about the personal meaning and metaphor of Talking Streets was very interesting. 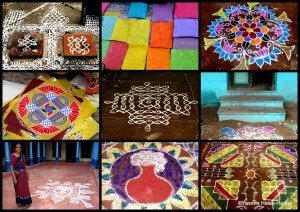 Overall everyone agreed the ritual patterns created upon domestic thresholds, walls and floors, whether upon urban streets in villages and cities or rural forest interiors, became not only become a place of spatial rhythm and interaction for the female householders, but the cultural glue that binds a community together. Great to see the streets talking at Great Arts, Shoreditch too! 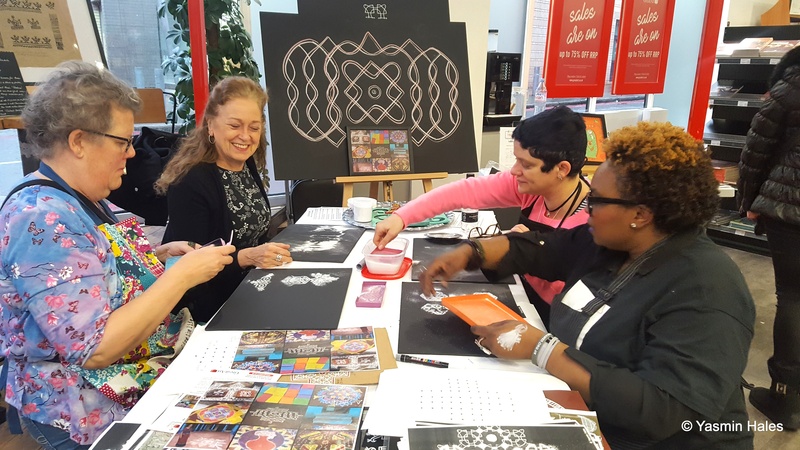 Inspired by my research to promote indigenous art, space and place to the wider community, I curated an exhibition called the ‘Talking Streets’ at the Harrow Arts Centre, with accompanying adult and family workshops (2016, 2017). A continuation of this Talking Streets exhibition will be on display in collaboration with the Anthropology department at Goldsmiths Univ in 2019. 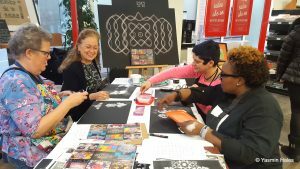 I really enjoyed Yasmin’s Talking Streets Indian art workshop. 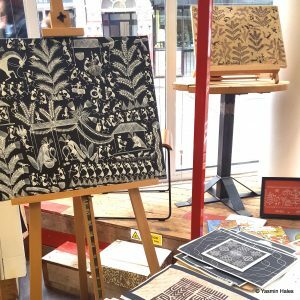 We explored decorative and tribal art from various regions, including Warli art from Western India and Kolams from South India. Yasmin taught me the meaning of this tribal art and how to make it, which was completely new to me. Our group used lovely pen and ink materials including authentic Indian papers impregnated with cow dung! Yasmin also brought in some beautiful books on Indian tribal art, and some original paintings for inspiration. Everyone was delighted at what they’d been able to create and take home. There’s something very healing about actually making these creative rhythmic lines and patterns, and it also allowed me to step into other womens’ worlds in India. Yasmin is both an anthropologist and a creative artist, she was a brilliant facilitator, and also very knowledgeable on the cultural context-an unusual combination! The Talking Streets workshop really brought alive some of the concepts Yasmin had been researching in South India and teaching in her courses on Anthropology of Art and Anthropology of Space and place, which I attended earlier in the year at the City Lit in 2017/2018. It was a very rewarding workshop and also great fun. It’s definitely something I am planning to do again.